Located in the most elegant business and leisure district, Theoxenia Palace in Kifissia overlooks Kefalari Park. 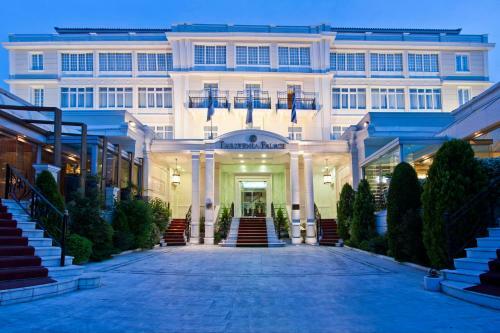 It offers 5-star guest rooms and suites, fine dining, and a fully equipped gym. Athens Life Gallery is located in the sophisticated suburb of Ekali. The 5-star hotel disposes 2 swimming pools next to the gardens. The hotel�s minimalist design, featuring ethnic elements, blends harmoniously with the modern architecture. Centrally located, Grecotel Pallas Athena is next to Athens City Hall. It offers uniquely decorated accommodation with arty details. Facilities include a restaurant and a bar. Omonia Metro Station is a 5-minute walk away. Located in the heart of Athens, the Hilton Athens boasts elegant rooms, 3 swimming pools, the popular rooftop Galaxy Bar and 5 restaurants. Evangelismos Metro Station is just a few steps away and connects to Syntagma Square within 5 minutes. This brand new design hotel stands in a prominent central city location, 200 metres from Syntagma Square. With free Wi-Fi throughout the property, New Hotel houses a Mediterranean restaurant and a fitness area. 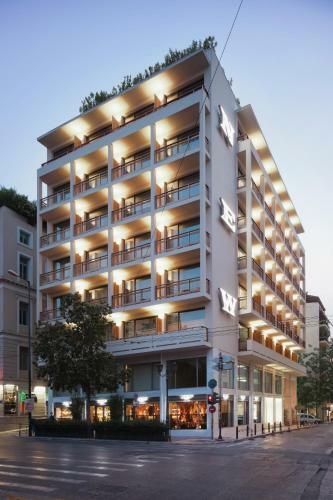 Situated in the heart of Athens� business and commercial district, Crowne Plaza offers lavish accommodation within walking distance of historical sites and metro station. A 25-minute drive south from downtown Athens, the 7-floor Divani Apollon Palace & Thalasso has a spa centred on thalassotherapy. Guests enjoy 3 pools, and a private beach on the Athenian Riviera. A short walk from the Acropolis, 5-star Royal Olympic Hotel is centrally located by the Temple of Olympion Zeus. The luxurious rooms overlook Zeus�s Temple, or the swimming pool garden. 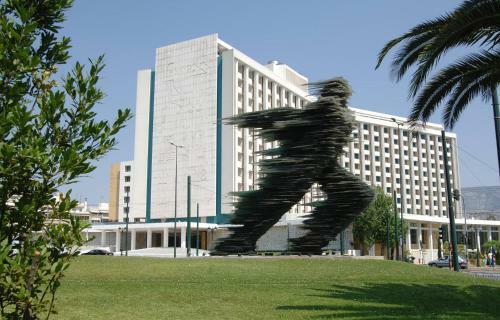 The 5-star Sofitel Athens is conveniently located 50 metres from Athens International Airport. It offers 2 restaurants, a spa and an indoor heated pool with views over the airport. Free Wi-Fi is offered throughout. Located close to the airport in Attica Avenue Highway, Holiday Inn Athens Attica Av, Airport W. offers stylish rooms with marble bathrooms and high speed internet. Guests enjoy free use of the gym, indoor pool and sauna. With a prime location, opposite Constitution Square and the House of Parliament, the Grande Bretagne boasts luxurious rooms and stunning city views from its magnificent rooftop terrace. The lavish rooms are appointed with the finest furnishings. 1 Vasileos Georgiou A� str. The Westin Athens, Astir Palace Beach Resort offers rooms with breathtaking views of the Saronic Gulf, a private beach, an Olympic-sized swimming pool and fine dining. 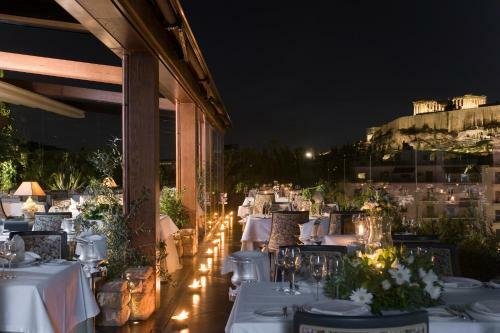 Athens Ledra Hotel boasts a rooftop, seasonal pool and bar with stunning views over the Acropolis. It features air-conditioned accommodation with a satellite TV and a balcony. Facilities include a fitness centre and a restaurant.